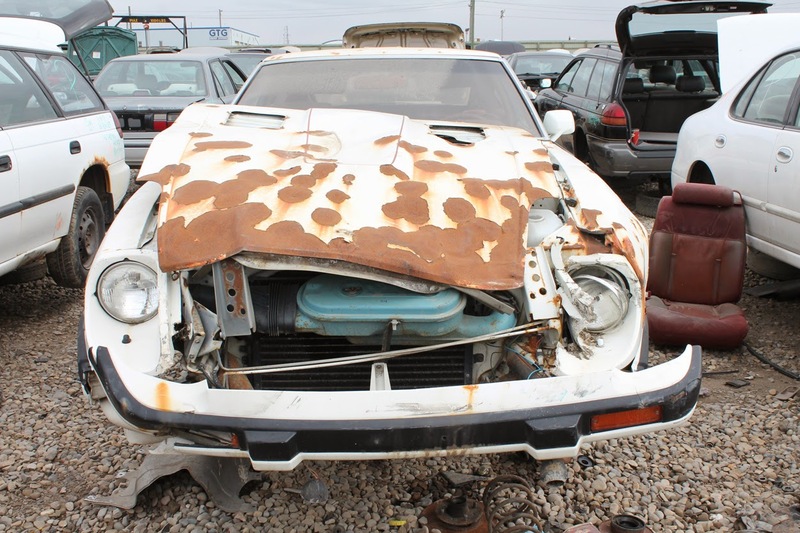 The Datsun 280ZX is awesome. But don't take my word for it, listen to Steve Wozniak's convincing testimony here. I've spoken at great lengths about my personal experience with my '83 280ZX that was my first car. 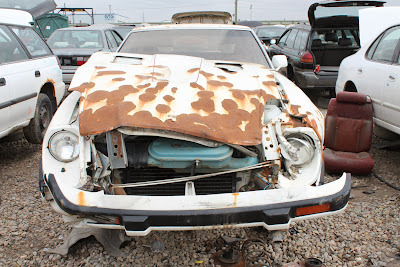 Those articles can be found here and here but today we're going to be talking about the 280ZX in comparison to it's contemporaries like the recently featured Supra. Doesn't that sound awesome? One thing that has always been remarkable about Nissan's 'Z' series is how often and how well the model reinvented itself. 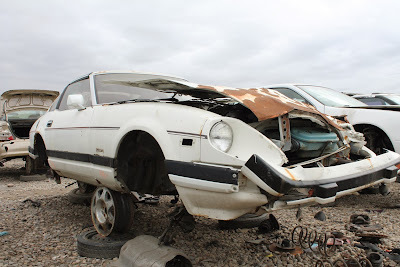 The model started out with the 240Z which was a lean, no frills affordable sports car. The later 280Z became slightly more tech heavy and luxurious and the 280ZX was more of a grand touring car than an out and out sports car. The first generation 300ZX saw the Z become more of a technological showcase and the second generation twin turbo 300ZX was a high end sports car to rival Corvettes and Porsches. After a brief hiatus, the 350 and 370Z returned the Z to a more affordable place in the market while still retaining many virtues that made the Z such a success in the first place. 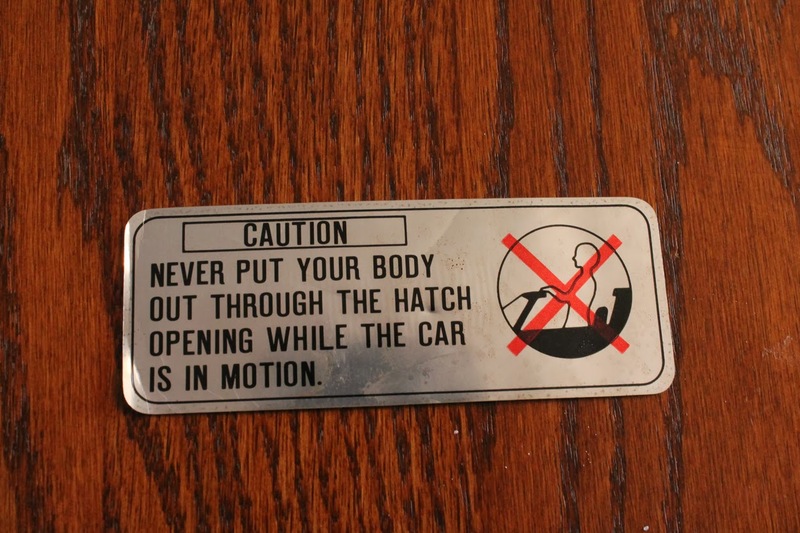 But back to this specific car. 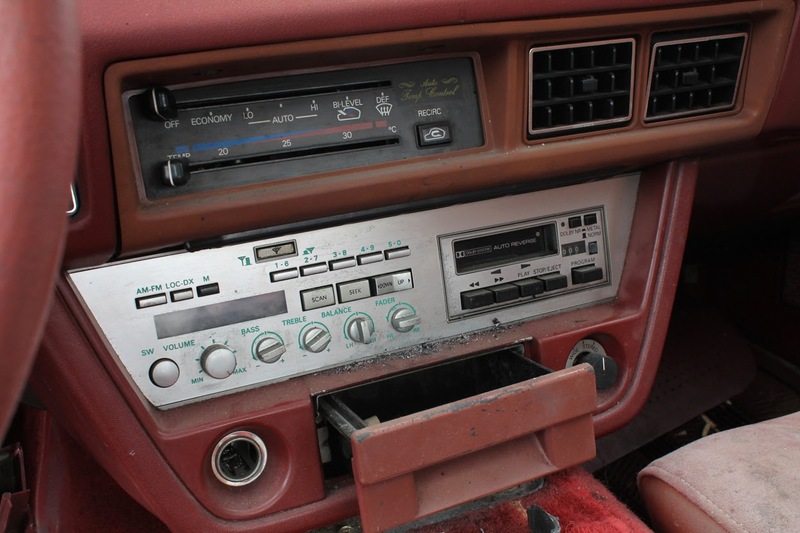 The 280ZX was a very advanced car for it's time. It had four wheel disc brakes, independent suspension front and rear, electronic fuel injection, onboard digital diagnostics (that talked to you!) and some, like this car, had digital dashboards. 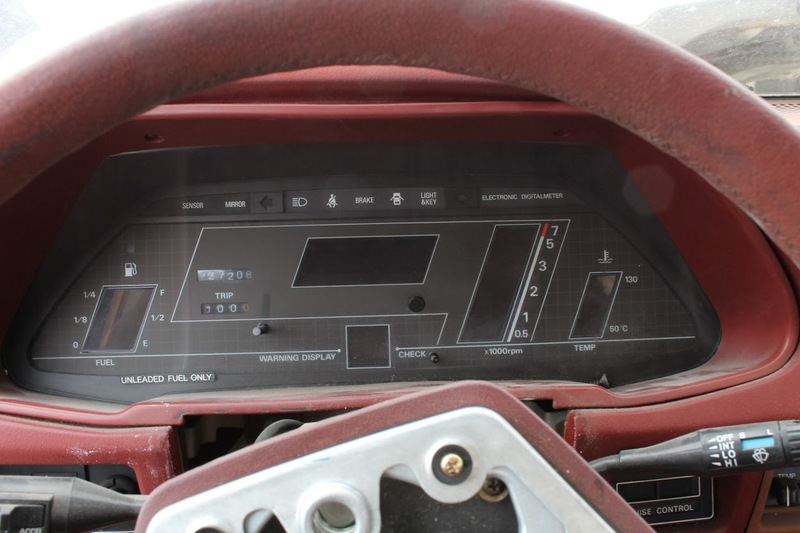 Digital dasboards were a big fad in the early '80's and was de rigueur for auto manufacturers trying to convey a high-tech feel in their interiors. 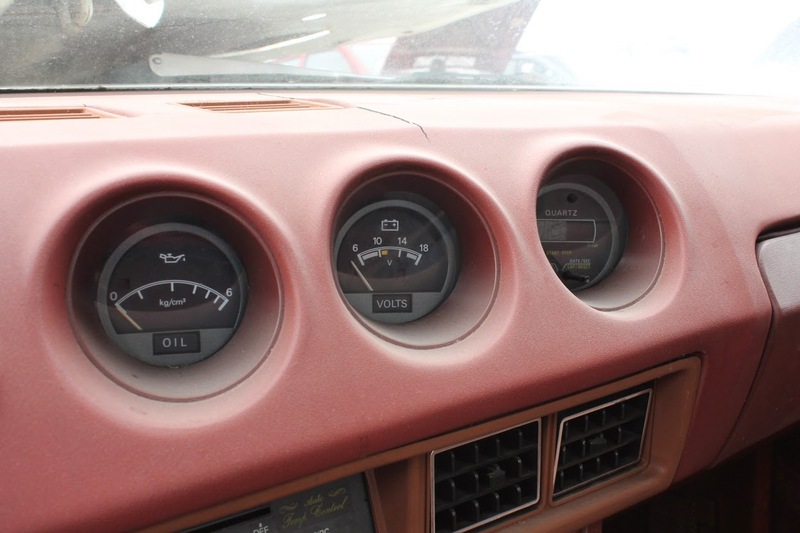 The one in the 280ZX is proudly labelled as an "Electronic Digitalmeter." 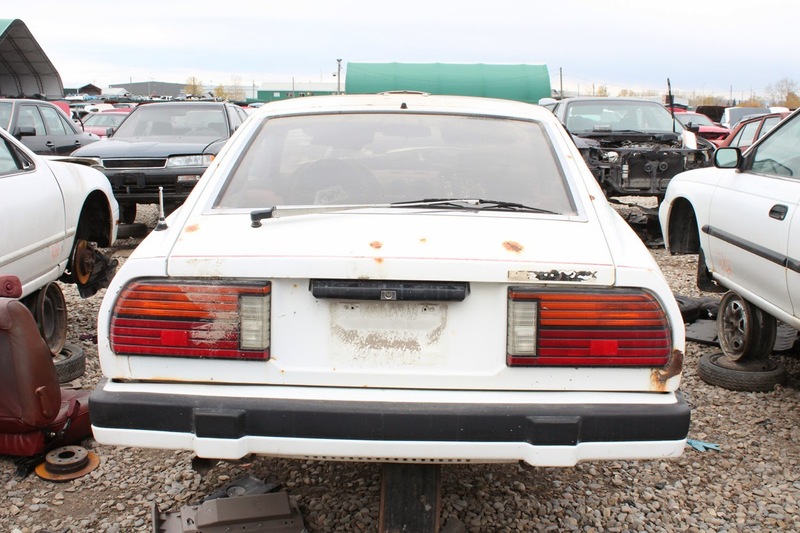 The interiors of these cars are just loaded with quirky '80's touches. The three inset gauges in the dash are angled towards the driver and display oil pressure, voltage and a clock/lap timer. The stock stereo, while lacking high wattage or a CD player, is housed in an extremely cool silver panel. And it lights up red at night! 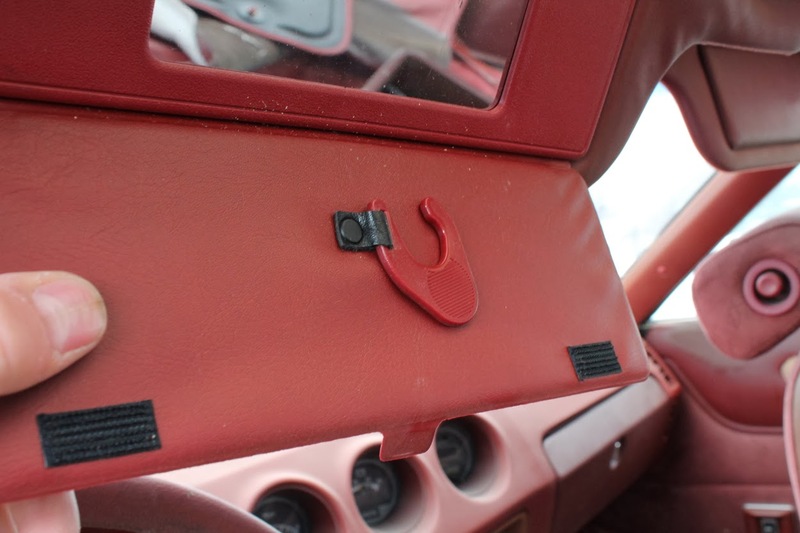 The sun visors have smaller visors attached (Bottom left picture) that fold out and hook on to the edge of the window for open topped driving free of wind buffeting. 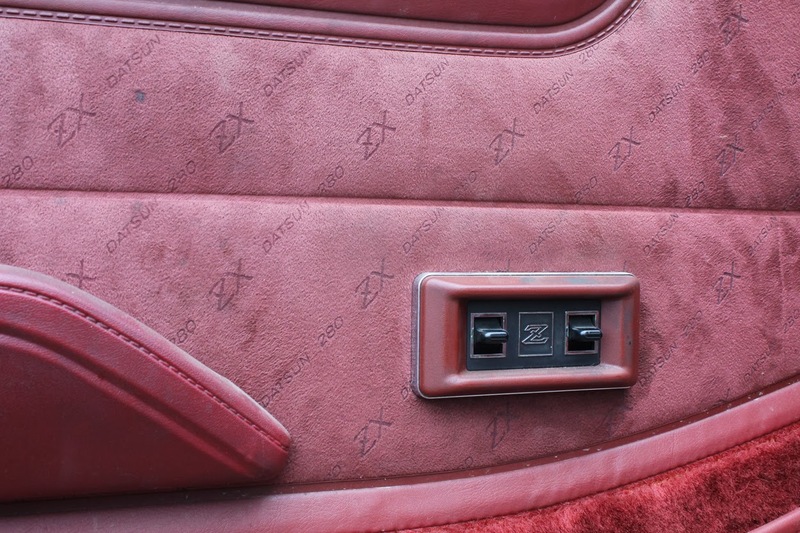 And this car has maroon velour door panels with the make and model of the car inset into the fabric. Try to find some more of that fabric today! Unobtanium indeed. 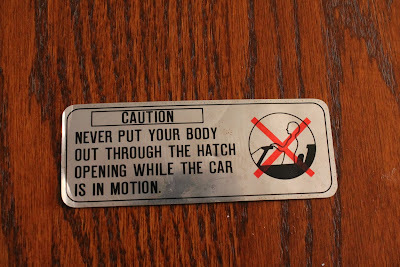 It also has my all time favorite automotive warning label. 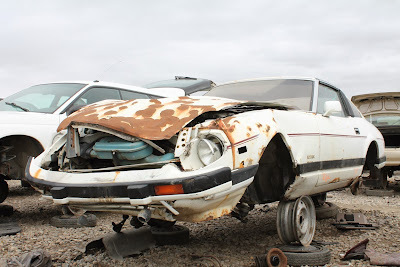 Today, the 280ZX is largely overshadowed by it's leaner elders but many have been built into formidable auto-crossers. 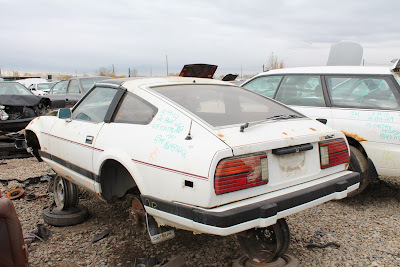 The 280ZX was one of the best affordable sports cars available in the late Malaise Era and was even faster than Corvettes of the time. And that is awesome.